As a special Valentine’s treat, young professionals aged 30 and below may avail of a 30% discount on the 6pm shows of Ballet Philippines’ Opera - February 13 and 14 at the CCP Main Theater. Tickets may be purchased with this discount at the CCP Open House, the Pasinaya Festival on February 7, the Ballet Philippines office or through BP at 5511013. 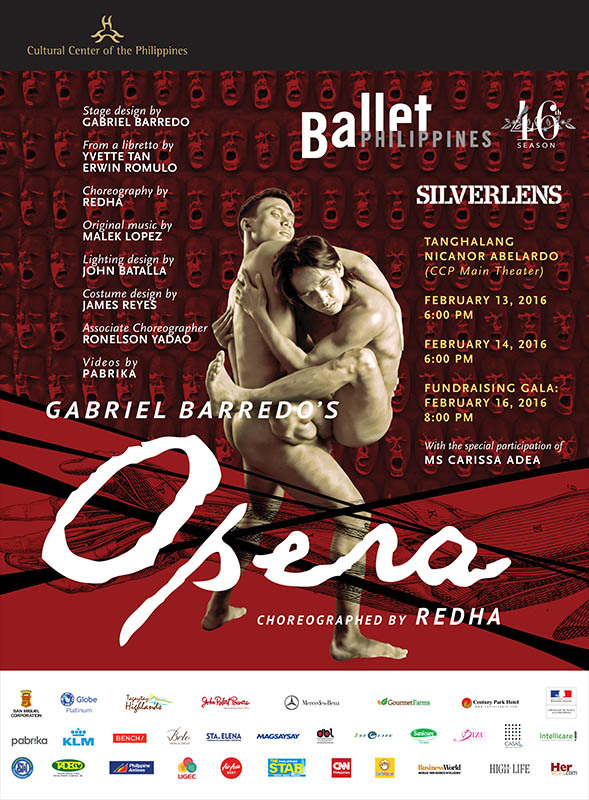 “Opera” will be staged at the Tanghalang Nicanor Abelardo (CCP Main Theater) on February 13 & 14 at 1:00PM and 6:00PM, with a Fundraising Gala on February 16 at 8:00PM. For inquiries, visit www.ballet.ph, send an email to info@ballet.ph, or call Ballet Philippines at 551-1003. For tickets and reservations, call the CCP Box Office at 832-3704 or Ticketworld at 891-9999.